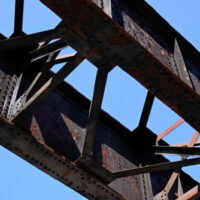 Will Florida Shield Companies Responsible For Bridge Collapse From Criminal Charges? After the pedestrian bridge collapse that ended the lives of 15 Floridians, the State of Florida conducted an investigation to determine the ultimate cause of the collapse. During that investigation, it was revealed that engineers working on the project saw the cracks in the bridge and at least one of whom reported the issue to the Florida Department of Transportation. Another employee took pictures of the sundry cracks but neglected to share those with the Florida DoT. During the investigation, an independent panel of engineers determined that ignoring the cracks in the bridge amounted to professional misconduct. This alone would be enough for an attorney to hold the companies liable for the 15 lives that were lost due to their negligence. Corporate personhood is a concept that allows an entity like a corporation to separate itself from those who run it and those who own or fund it. In terms of civil lawsuits, this protects the individual investors and decision makers of the corporation from personally paying out in the case of liability. For instance, none of the individual engineers or decision makers a FIGG Bridge Group or Munilla Construction Management will pay a dime to those injured or the families of those killed. That money will come directly out of the corporation’s coffers. In other words, the individuals are not held responsible for those deaths, the corporation is. Criminal charges, however, are a much different matter. Criminal charges are directed at individuals, not corporations. Individuals can be held liable for crimes like manslaughter, but under what circumstances? According to the Miami Herald, the morning before the bridge collapsed, those involved with its construction held a meeting. At this point, no one knows what conversations took place at the meeting, whether or not the pictures were discussed, and who, if anyone, thought the information worth sharing with the Florida Department of Transportation. The details of that meeting could hold significant clues as to what was going on in the minds of those involved with the bridge’s construction. Though the Herald has asked that the details of that meeting be released to the public, thus far the Florida DoT has refused to comply with the request. The question is why? Are they attempting to build a criminal case against one or more bad actors who may have kept information about the cracks from the government? Or are they simply shielding a special interest group from civil liability? The details of that meeting could lay such claims to rest. What’s clear is that, with the knowledge of the cracks in the bridge, the companies involved with its construction should have contacted the Florida Department of Transportation and closed off both the bridge and the street lying underneath. It remains to be seen, however, whether or not Florida will either pursue those charges or even allow such charged to be pursued. Miami personal injury attorney, Alan Goldfarb is currently representing victims of the FIU bridge collapse and their families. He can also represent you in your personal injury case. Give us a call or talk to us online, and we can provide you with a free case evaluation.